Phyllis Zee, MD, PhD, found workers exposed to more natural light had a better quality of life. “Workers are a group at risk because they are typically indoors often without access to natural or even artificial bright light for the entire day. The study results confirm that light during the natural daylight hours has powerful effects on health,” she said. Office workers with more light exposure at the office had longer sleep duration, better sleep quality, more physical activity and better quality of life compared to office workers with less light exposure in the workplace, reports a new study from Northwestern Medicine and the University of Illinois at Urbana-Champaign. The study highlights the importance of exposure to natural light to employee health and the priority architectural designs of office environments should place on natural daylight exposure for workers, the study authors said. Employees with windows in the workplace received 173 percent more white light exposure during work hours and slept an average of 46 minutes more per night than employees who did not have the natural light exposure in the workplace. There also was a trend for workers in offices with windows to have more physical activity than those without windows. Workers without windows reported poorer scores than their counterparts on quality of life measures related to physical problems and vitality, as well as poorer outcomes on measures of overall sleep quality and sleep disturbances. The study was reported in the Journal of Clinical Sleep Medicine in June. 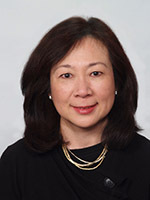 Zee is the Benjamin and Virginia T. Boshes Professor of Neurology at Northwestern University Feinberg School of Medicine and director of the Sleep Disorders Center at Northwestern Memorial Hospital. “Architects need to be aware of the importance of natural light not only in terms of their potential energy savings but also in terms of affecting occupants’ health,” said co-lead author Mohamed Boubekri, an associate professor of architecture at the University of Illinois at Urbana-Champaign. A simple design solution to augment daylight penetration in office buildings would be to make sure the workstations are within 20 to 25 feet of the peripheral walls containing the windows, noted Boubekri. ”Daylight from side windows almost vanishes after 20 to 25 feet from the windows,” he said. The study group included 49 day-shift office workers; 27 in windowless workplaces and 22 in workplaces with windows. Health-related quality of life and sleep quality were measured with a self-reported form and sleep quality was evaluated with the Pittsburgh Sleep Quality Index (PSQI). Light exposure, activity and sleep were measured by actigraphy in a representative subset of 21 participants; 10 in windowless workplaces and 11 in workplaces with windows. Actigraphy is a single device worn on the wrist that gives measures of light exposure as well as activity and sleep. This is an ambulatory physiological data logger that records motion and light illuminance. The motion was used to determine activity levels during waking time and to calculate sleep time. The light luminance was used for measures of light exposure during the workday period. Also, people who get more light during the day may sleep better at night, which can also help improve health, Zee noted. Other authors include Kathryn Reid, PhD, from Northwestern and Chia Hui-Wang from the University of Illinois. The research was supported by grants 5T32 HL790915 from the National Heart, Lung and Blood Institute and P01 AG11412 from National Institute on Aging, of the National Institutes of Health.